2. 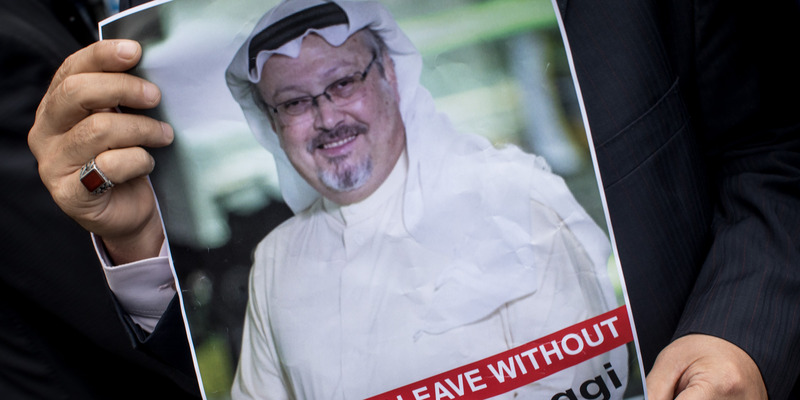 Individuals and businesses are cutting ties with Saudi Arabia following Jamal Khashoggi’s disappearance. Global business leaders, policymakers, media moguls and tech executives, including Virgin Group’s Richard Branson, have put Saudi Arabia on notice. 3. China’s trade surplus with the US expanded to a record $US34.1 billion.Chinese exports to the US have stayed moderately strong despite increasing tariffs. 5. Russian and US astronauts fell to Earth after a failed launch to the International Space Station. The rocket’s boosters failed high in Earth’s atmosphere, but the crew was helicoptered back safely. 6. Malaysia agrees to abolish the death penalty.Malaysia mandates hanging as punishment for crimes including murder, drug trafficking, treason, kidnapping and acts of terror. 8. Mohammed Dewji, believed to be Africa’s youngest billionaire, was kidnapped in Tanzania. Three people have been arrested in connection with the incident, and the motive remains unclear. 9. Rapper Kanye West made a bizarre speech at the White House.West was at the White House to discuss prison reform, but he touched on a lot of topics including his admiration for President Trump.